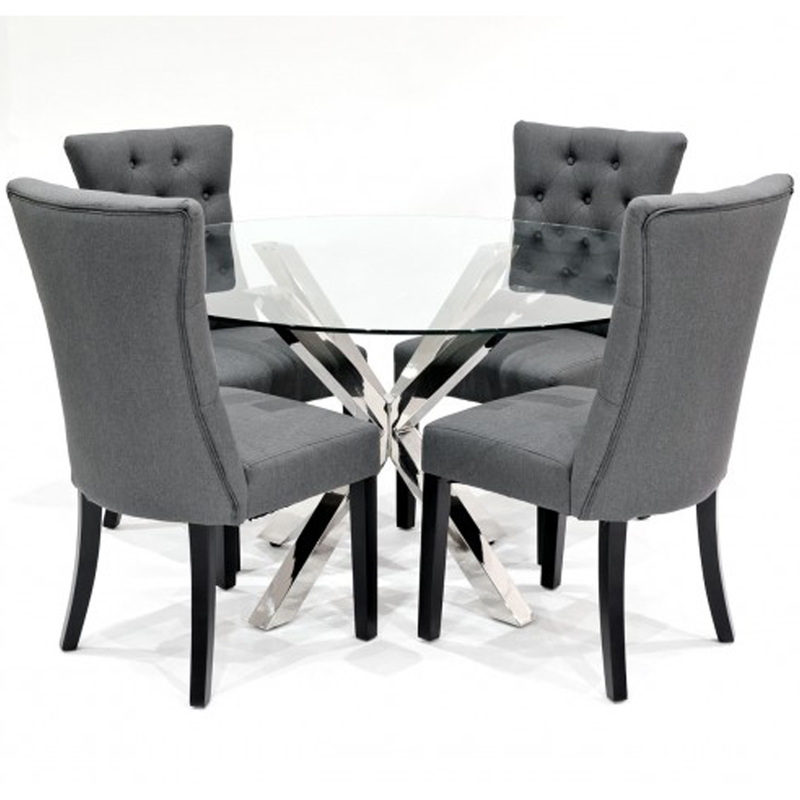 Introducing the newest addition to our collection of modern furniture and dining sets, this beautiful Grey Sanderson Crossly Glass Dining Set is a perfect addition to add to your home interior to give your dining room a modern feel. Complete with four sanderson chairs finished in a grey colour with fabric seats and natural wooden legs. Also including a crossly glass round dining table with a chrome base.